Whether it is supporting more state apprenticeship funding, or opposing a provision that discriminates against non-union (a.k.a. merit shop workers) or even writing a law that would help local government districts avoid discriminatory PLAs – ABC SoCal’s Government Affairs focus is to increase the political influence of ABC to advance the merit shop philosophy and free enterprise. ABC advocates for solutions that ensure regulations and legislation are consistent with the merit shop philosophy. 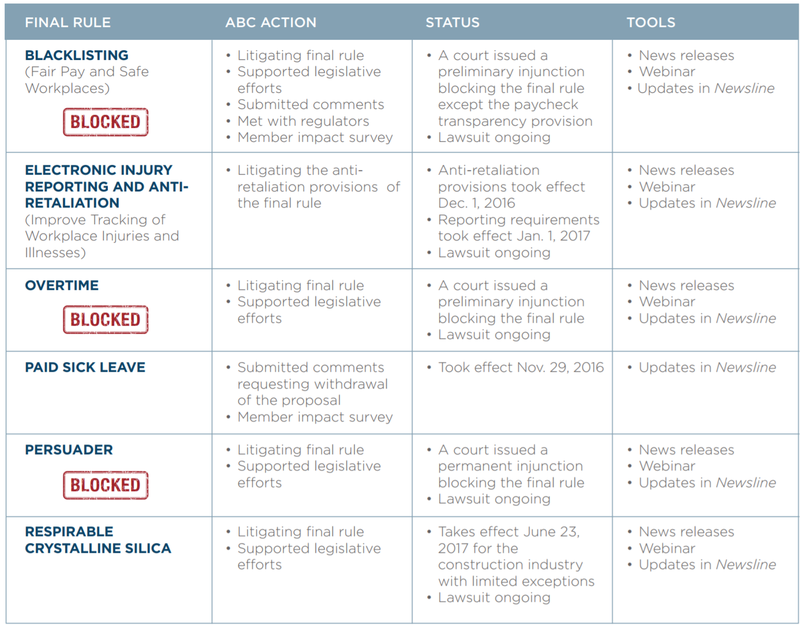 In addition, ABC produces a state and federal scorecard for each legislator’s construction votes. 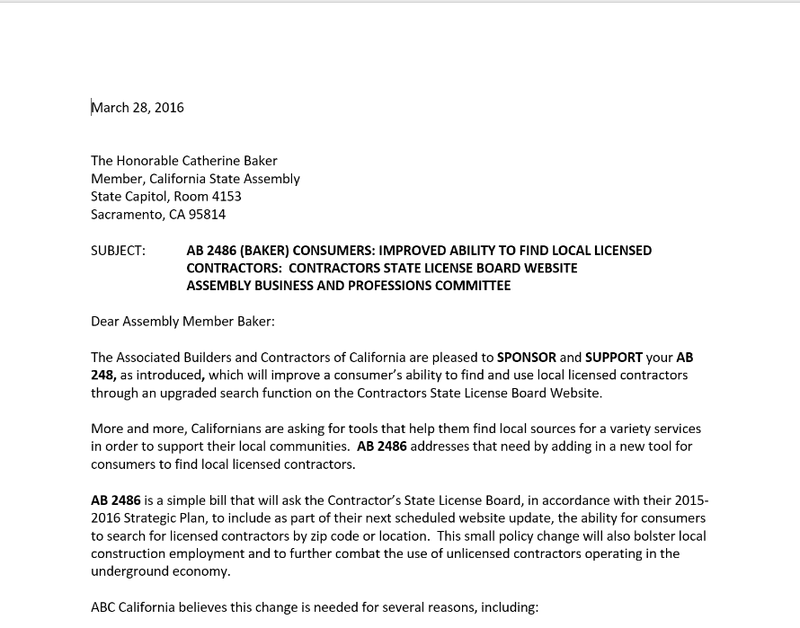 ABC was proud to announce that AB 2486, authored by Assemblywoman Catharine Baker, was signed by California Governor Jerry Brown! This legislation was sponsored by ABC of CA and forced the Contractors State License Board (CSLB) to list contractors approved for public works in a database online that is searchable by zip code. By listing the contractors approved for public works in a database online that is searchable by zip code; school districts, community colleges and any local public entity can achieve ‘local hire’ without using a wasteful and discriminatory Project Labor Agreement (PLA.) AB 2486, passed the California State Assembly unanimously by a vote of 63-0! ABC SoCal members know that the construction industry is under constant assault from overbearing excessive government regulation. Together with our industry and community partners, we can help inform and educate our local leaders about the results their well-intentioned regulations have on everyday working Americans in the construction industry. ABC advocates for solutions that ensure regulations and legislation are consistent with the merit shop philosophy. 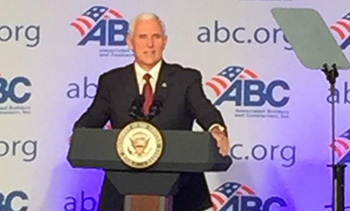 Whether it is the new California “skilled and trained workforce” regulations or federal compliance, ABC celebrates 65 years as the leading voice of merit shop construction and an effective voice for the free-enterprise policy agenda. We educate the legislators and regulators on the merit shop philosophy, importance of safety and quality, workforce development and free enterprise. For specific regulatory questions, contact our ABC SoCal Government Affairs Director, Dave Everett, at 714-779-3199 or by email. 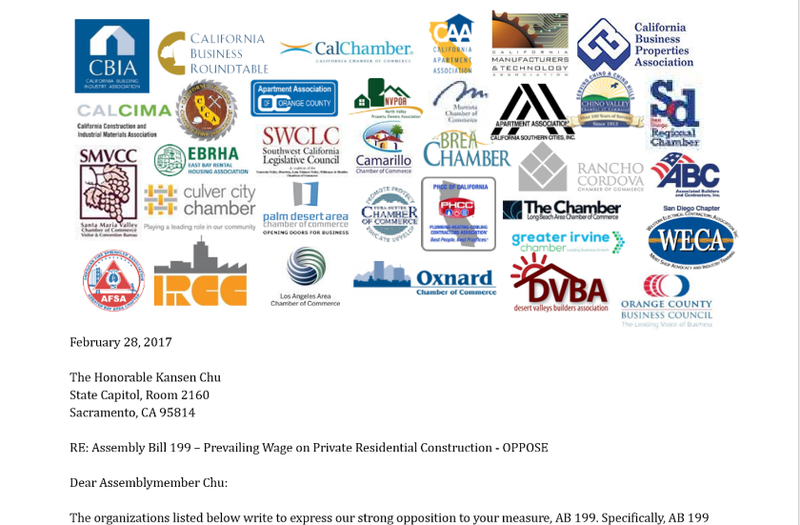 ABC SoCal members know that Project Labor Agreements (or PLAs) discriminate against our members, our workers and California taxpayers. Our efforts to fight these discriminatory and wasteful PLAs comes in many forms. At the federal level, that might be a simple request to the Trump Administration to end Obama’s PLA preference on federal construction projects. Locally, fighting PLAs often takes the form of a recommendation of support or opposition to candidates running for political office or government appointment. Earlier this year, ABC SoCal members flew to Washington D.C. to attend Congressional office visits to request that the remaining SoCal Members of Congress co-sponsor the Federal Neutrality Act. Whatever form the next PLA fight takes, rest assured ABC SoCal will be there to make sure our members are being treated fairly. 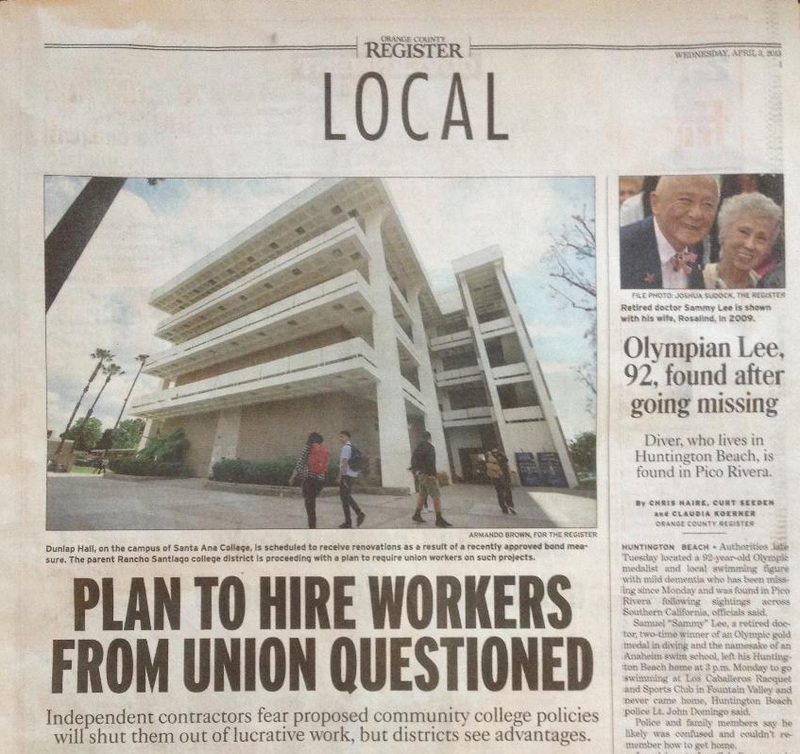 If it means issue advocacy campaigns, digital ads, direct mail, robo-calls, opinion editorials in local newspapers, talking with reporters, testifying at city council or school board meetings – ABC SoCal will fight to make sure public construction contracts are bid with open and fair competition. Above: In Orange County, State Senate candidate Jose Solorio had restricted ABC members from working freely on a school construction bond at Rancho Santiago Community College District with a Project Labor Agreement or PLA. ABC SoCal made sure our members' voices were heard and that his workplace discrimination didn't go unnoticed by the voting public. 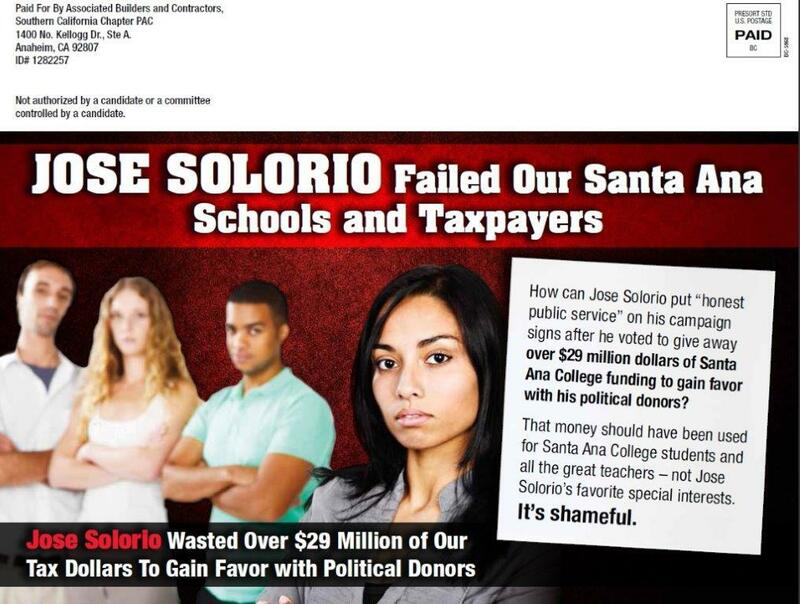 ABC SoCal was proud to send over 11,000 pieces of campaign mail to hold local politician Jose Solorio accountable for passing a wasteful PLA in an effort to gain the support of Big Labor bosses in his run for higher office. 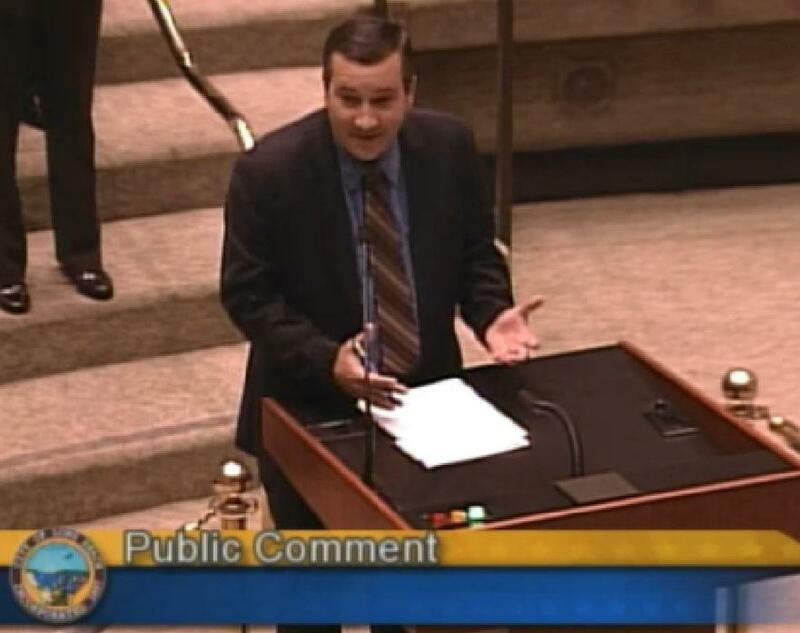 Above: ABC SoCal Government Affairs Director, Dave Everett, testifies at the Long Beach City Council meeting against a Long Beach PLA that would favor unions for $265 million in public taxpayer funded construction projects. 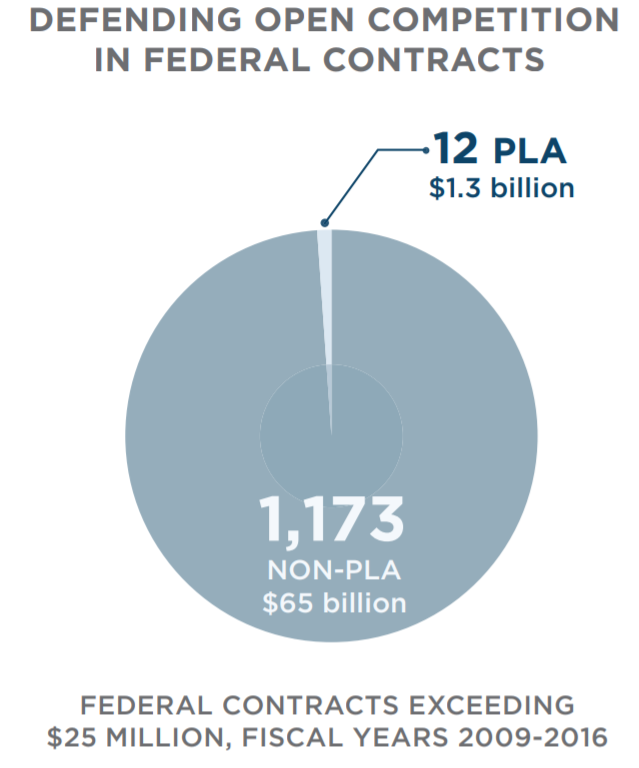 ABC prevented government-mandated project labor agreements (PLAs) on nearly 99 percent of contracts exceeding $25 million during fiscal years 2009-2016, ensuring that billions of dollars in federal construction contracts were awarded based on merit, not mandates or political favoritism. ABC Government Affairs Team As a member of ABC SoCal, the ABC government affairs team works collaboratively to assist you and our industry. ABC National offices in Washington, D.C. have a team working the halls of Congress and talking to Administration officials. In addition, ABC SoCal also has a lobbyist in Sacramento dedicated to California issues. Here in Southern California, contact our Government Affairs Director, Dave Everett, at 714-779-3199 or by email. What is ABC Government Affairs doing for our members? 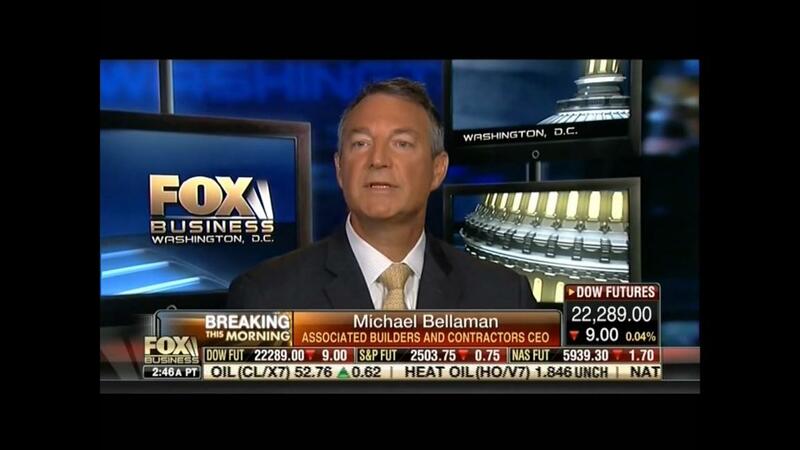 ABC’s CEO Mike Bellaman was recently appointed to President Trump’s U.S. Department of Labor’s task force on apprenticeship expansion. The release is also available on ABC’s website and Facebook, LinkedIn and Twitter pages. The task force will submit to the president strategies and proposals focused on Federal initiatives to promote apprenticeships; Administrative and legislative reforms facilitating the formation and success of apprenticeship programs; the most effective strategies for creating industry-recognized apprenticeships; and the most effective strategies for amplifying and encouraging private-sector initiatives to promote apprenticeships. The task force’s membership represents a wide range of American companies as well as trade, industry and educational groups. All members are encouraged to download the newest tool released through ABC National - The ABC Action App. Download the app through ITunes or Google Play stores. 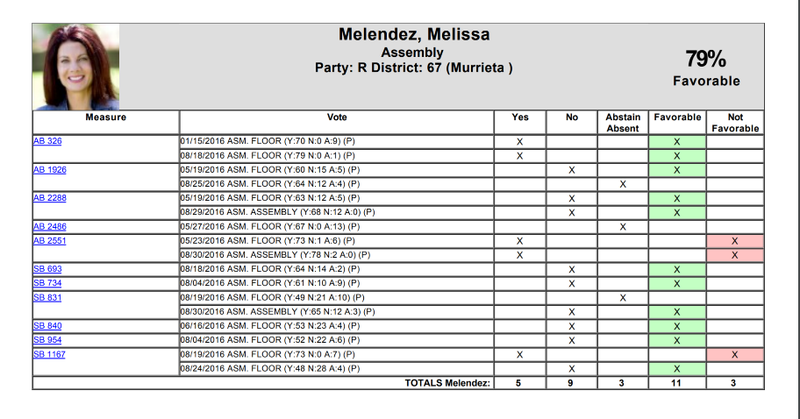 Not only can you read summaries of important issues, you can also send messages to your legislator with just one click. The Chapter staff members have downloaded, and are using, this valuable app so that we can remain up to date on the challenges our members face in the fight to preserve and protect fair and open competition. Users also can stay up-to-date on policy issues, see how their representatives voted, track Key Votes and share information via email, Facebook, LinkedIn and Twitter.